You're coming Croatia for the first time? 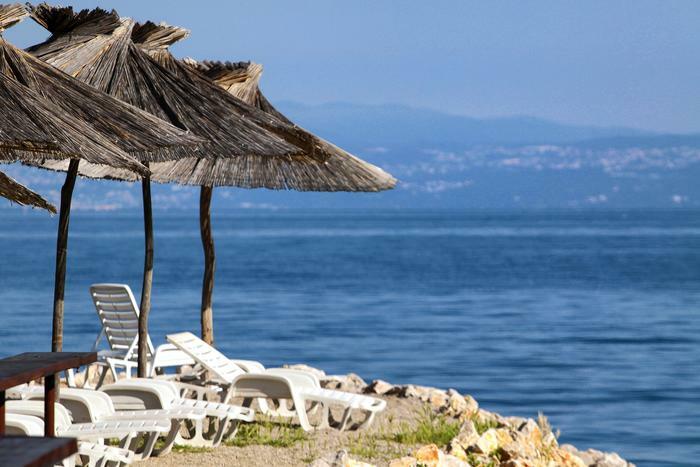 Check our tips and advice to have great holidays on the Adriatic. Also, be sure to take a look at our Part 1 tips for people who are visiting Croatia for the first time. 1. Free Diving – discover the magical underwater world of the Adriatic Sea. If you're visiting Croatia in summer be sure to bring a diving mask so you can explore the beautiful sea world - a perfect summer activity to recharge your batteries, away from the noise and stress of the city. Just keep in mind that sun rays can reach your skin even when you're under water so be sure to protect yourself from sunburn. 2. Coffee – having a coffee with your friends or alone is a regular ritual in Croatia. It's a perfect activity when you want to relax or just have some time for yourself in your favorite cafe. During summer this coffee ritual stays the same, it just moves to beach bars so you can take a refreshing dip when temperatures get too high. 3. Mediterranean Delicacies – enjoy delicious dishes made of healthy ingredients that grow under the Mediterranean sun. Olive oil from Hvar Island, red wine from Pelješac peninsula or the hard sheep milk cheese from the island of Pag are just some of the delicacies you'll fall in love with. 4. Ancient Monuments – so many remains of the ancient past in Croatia tell a spectacular story of the times long past. The famous amphitheater in Pula or various amphorae discovered around Hvar Island are just some of the attractions from Croatia's rich cultural heritage. 5. Marjan Hill – besides being the center of Dalmatia, the city of Split is also known for its Marjan hill which is a must-see for all lovers of nature. Its lush forest includes hiking and running trails, tennis courts and children's playground with swings, slides and climbers. Often dubbed as the 'lungs of the city' Marjan is most famous for its beautiful beaches and lookout which gives you a stunning view of the whole city. 6. Klapa Music – this symphony of human voices creates a truly unique musical experience for every listener. Though a traditional musical form, 'klapa' has become so famous that in summer you can often stumble upon a klapa group singing on the streets of many cities along the Adriatic. 7. Pets – many visitors of Plitvice Lakes are not sure whether they're allowed to bring their dog along. The answer is yes, your pet is welcome to Plitvice Lakes but it must always be kept on leash. 8. Pizza – although traditional dishes are an absolute must-try, in Croatia you can also enjoy delicious pizza. Both restaurants and fast food places offer a great number of pizza varieties so when you're not sure what to eat while on holidays you can always go for this classic. 9. SIM Card – if you want to communicate easily with both your loved ones at home and your fellow travelers you can always buy a SIM card from one of Croatia's network operators. You can find them at every kiosk and they generally offer cheap rates for calls abroad, texts and data. 10. Currency – in Croatia the currency is Croatian Kuna (HRK). If you want, you can bring euros to your holidays and exchange them to kunas at a local exchange office. Every town or village in Croatia generally has at least one ATM so you can easily withdraw cash. Most shops and credit cards accept credit cards so if it makes you feel more secure you don't necessarily need to have cash on you.